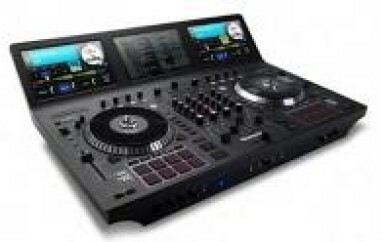 DJ controllers are no longer a fad, the all in one units are not only here to stay they are getting better with each new version better than the last; with more capabilities and features it’s really hard to hate on these DJ gadgets. And why would you hate? As the competition heats up between manufactures such as Numark and Native Instruments who are in an all out battle for the DJ booth, we the consumer benefit the most. All these new advancements promise to make our job as DJs much more interesting as the possibilities for creativity expand, at the very least they make the job more fun. For instance take the latest news to come out of Serato HQ. The just released Serato Remote is a new iPad dj app that you can use to do things you couldn’t even imagine in your wildest dreams. Not only can you control your Scratch Live or Serato DJ set ups wirelessly with Serato Remote, allowing you to step away from behind the DJ booth and continue your performance, you can prep your tracks cue points, set loops, and more without needing to touch your main decks. And this is just the tip of the iceberg. There is more, but i’ll let Serato tell you themselves with the following video and links provided below. Before I do however, let me say one thing. This is not the first app designed to work in conjunction with a digital controller. Native Instruments recently introduced the Traktor DJ app to their Traktor family of controllers and Pioneer has Rekordbox, introduced last year, both are very cool apps with lots of wonderful features. However, I am a sucker for design, especially when it doesn’t come at the expense of functionality. When you can make something look good and easy to use, you are aces in my book, and guess what, in many other peoples eyes as well. This is why I believe Serato Remote stands out and has upped the ante on Traktor DJ, Rekordbox, and any other app intended to work in conjunction with a DJ controller, or even stand alone DJ apps, period. It’s all about usability. Traktor DJ and Rekordbox are awesome apps, but that is where they come up short. Traktor, more so than Rekordbox – which is much more of a database manager- scream that they were designed as apps for app users. 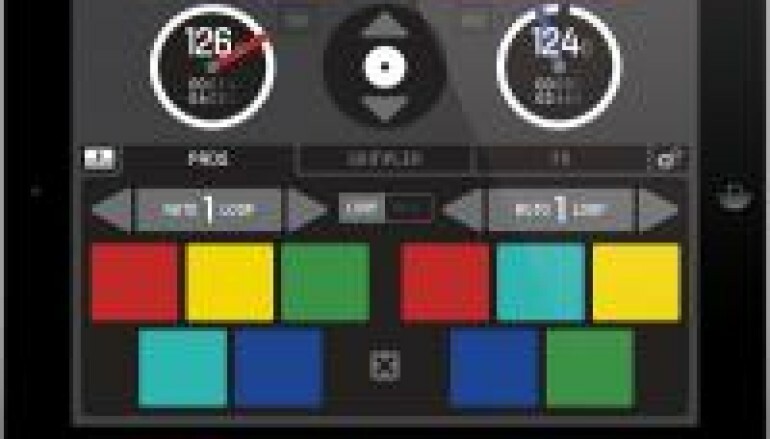 Serato Remote has big, and I mean big, colorful buttons for most of it’s key functions, the ones a DJ has to interact with the most. These buttons can’t be small or require the most precise finger placement or gesture to react accordingly. As great as an iPad is, sometimes the touchscreen is not responsive enough or items are too small. This is no bueno for a DJ in a dark environment. I can easily see a DJ walking the stage interacting with the crowd (think wedding/corporate parties – or arena) with an iPad strapped to his/her hand with this cool ipad case, all the while rocking the party via Serato Remote. This is something worth thinking about if you are a DJ for hire, and also for the Superstar DJs out there. Serato Remote just stepped up the game on so many levels. Are you ready to perform? The app is available in two sizes: Serato Remote mini for the iPhone and the larger format for the iPad simply called Serato Remote. Get yours now. What are your thoughts on the Serato Remote? Or are you a Traktor DJ user?